Poetry. 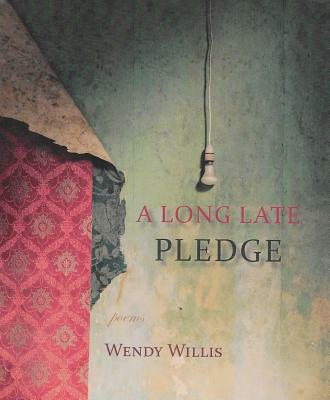 A LONG LATE PLEDGE, Wendy Willis's second book of poems and the first from Bear Star Press, arrives at the perfect moment in our national conversation about democracy, what it is and where it has failed. Willis's book suggests what remedies there might be for resurrecting its original premise, this time including a pledge to honor what was left out of its charters and laws the first time around. Grounded primarily in the landscape of Willis's home state of Oregon, the book contains a number of poems that find their footing farther east as well, as far as Monticello and beyond, and contains an afterward of sorts, "notes & commonplaces" that readers will want to consult from time to time as they read the poems. There we learn, for example, of a young man recruited by Thomas Jefferson to walk from Siberia to Alaska and then across the continent to Virginia, using as his measuring instrument and survey record tattoos inked with berry juice. The poem's narrator, meanwhile, wonders what Jefferson might require of her, whose body is inked "between the thighs...with childbirth & fear." What berries might she use "for marking? There are blueberries / for Fourth of July. And huckleberries through September / ... but the marionberries are to be saved for pies." Willis's poems may interrogate the body politic, but they never forget that it is constructed of, and on, the bodies of people whose homely, daily practices are the bone and sinew of the larger corpus. "Who am I to wield this pen from the provinces?" asks another poem. "To wind and unwind America's purled promises / shuttle in one hand, splitting maul in the other?